At Senco Energy, we understand that a business’s electricity and gas is one of the biggest costs facing your organisation. We work with you to ensure you secure the very best energy contract package for your electricity and gas requirements, reducing expenditure and removing the hassle of dealing with the energy supply companies. The UK Energy markets have been volatile in recent years, making it vital to secure your energy contracts with the right supplier at the right time. Senco Energy has significant experience and a proven methodology, enabling you to focus on your business with the peace of mind that you are not being overcharged for your electricity and gas usage. As an independent organisation, we work purely in your best interest. We do not have specific affiliations with any energy supplier, we simply recommend the best energy solution for your business. In order to provide the exceptional levels of customer service our clients have come to expect, we have developed, and strictly adhere to the Senco Code of Practice. We do not invoice you for procurement services, we are paid from the chosen energy suppliers through contract placement fees. Save Time & Money – We ensure your contract renewal runs as smoothly as possible, reducing expenditure and saving you valuable time in the energy contract renewal process. Outstanding Customer Service – Against a background of reduced back-office support from many of the leading supply companies, we provide complete peace of mind. With our dedicated Account Management, Senco Energy becomes your first point of contact for all things energy related. Budget Forecasts – With a fixed term energy contract, Senco Energy works with you to help project all budgeting requirements with regards to your electricity and gas usage. Risk Management – Our complete risk management approach focuses and identifies all possible threats posed by the UK energy market. We ensure a robust strategy is in place to mitigate any risks. Senco Energy’s proven methodology ensures absolute client satisfaction throughout the entire contract process. We provide a complete service that enables you to focus on your business with the peace of mind that you are not being overcharged for your electricity and gas usage. Our clients range from single site retail shops to multi-site/groups across a variety of industries. 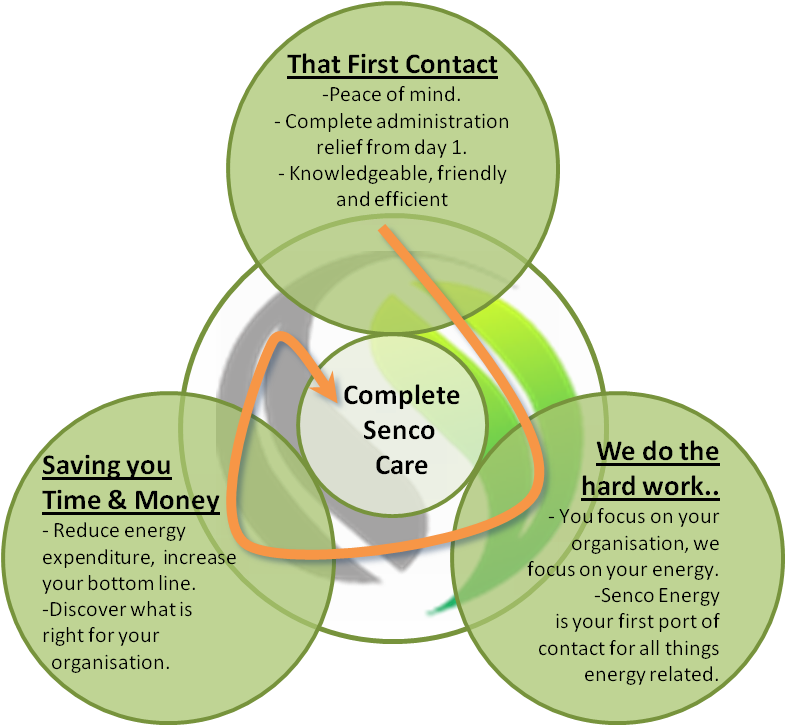 Please contact Senco Energy to understand how we can help you manage your energy expenditure. How does Senco Energy gain me better rates? As an independent energy consultancy, we have strong relationships with energy suppliers big and small. Ensuring you receive the very best energy purchasing package for your organisation is our goal, we work on your behalf, not the suppliers. Our reputation within the market means we can negotiate your specific requirements and ensure your complete satisfaction throughout. What does Senco Energy need to get the ball rolling? Initially, we need you to sign and return the Letter of Authority. This allows Senco Energy to communicate with both your existing and potential supplier(s). Please remember, at no stage does this constitute a contract between Senco Energy and your organisation, we are not authorised to terminate your current contract or agree new ones without your written permission. Will I be cut off at any stage during the transfer? No, changing suppliers simplistically means you change your billing provider. The actual electricity and gas is transported to you via the distributor for your region, this cannot be altered. Am I under any obligation to change my electricity and gas supplier? No, Senco Energy provides you with the service to enable informed decisions to be made regarding reducing your energy expenditure. We do not sign contracts on your behalf, ultimately your energy supplier is completely your decision. What happens when my electricity and/or gas contracts comes to an end? Your current energy supplier will send you a ‘renewal letter’ up to 4 months before your contract ends, this can be quite ambiguous and often misleading. Should you not provide the necessary notice (Senco Energy does this on your behalf) you will be ‘rolled’ onto a new 12 month contract, at significantly more expensive rates. What support does Senco Energy offer post contract completion? With the reduced back office support from many of the leading energy companies, we offer complete post contract support for all things energy related. Our knowledgeable account managers provide the levels of service that many can only dream of, we won’t try and sell you unnecessary products/services... Just simple, honest advice. Senco Energy has direct, carefully nurtured relationships with several of the key UK green energy suppliers. We are able to offer 100% renewable energy contracts. Historically, the cost of green energy has simply made it unfeasible, however with the costs now dropping, now could be the time to consider your options. What’s more, it’s great for your companies PR… Please contact Senco Energy for more information. Most businesses have at some stage been over charged for their electricity and gas consumption. However negotiating repayments can often be a timely and often futile exercise. Energy suppliers use many different billing systems meaning mistakes are all too common place. Senco Energy offers full historic and ongoing billing validation, ensuring you never pay over the odds again. Our service provides thorough analysis of your electricity and gas invoices, ensuring all elements are in order before providing confirmation that it should be paid. To understand more about billing validation, please contact one of our professional advisors.